I live in Sahuarita and I want to say you people have ruined the mountains. It is a complete eyesore not to mention a enviromental hazzard. When you look across it, it looks like you have sheared the mountain off. Now you want to expand? As if you people were'nt greedy enough. No wonder we have such terrible dust storms, there is no protection left. Get a clue and preserve the land. Leave Arizona alone. I am sure you would say the same thing about the Grand Canyon. What an eyesore that is! Do you have any idea where we would be without mining? Probably not. You would prefer we live in the stone age and be one with nature... except you want the benefits of what people have invented and produced. What would you do with out your ipod or computer... you must have used one to post your ridiculous comment. 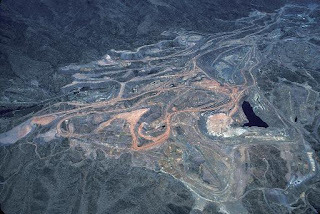 You should check on all the environmental regulations mines need to follow, even before they start digging, and their recovery plans when they are done.